When I was a committed Christian I enjoyed reading the incredibly well-written and absorbing books by CS Lewis. I don’t mean the The Chronicles of Narnia, those classic novels for children, but his theological works. He has rightly been acclaimed as the greatest Christian apologist of the 20th century. My personal favourite is the famous The Screwtape Letters, a satirical novel written as a series of letters from a senior demon Screwtape to his nephew, a junior “tempter” named Wormwood, so as to advise him on methods of securing the damnation of a British gent known only as “the Patient”. Arguably the most important work of 20th century Christian apologetics is Mere Christianity, in which Lewis tries to avoid denominational controversies in order to explain (what he sees as) the fundamental teachings of Christianity. Remarkably, it seems his work is as popular amongst evangelicals as it is amongst Roman Catholics. In one significant respect Lewis and I crossed paths, intellectually speaking. Since even before I ‘committed my life to Christ’ I had read the New Testament closely and discovered what Lewis termed “The Most Embarrassing Verse in the Bible”. Here is his explanation of the problem. This embarrassing verse nearly stopped me from becoming a born-again Christian, but I put the issue to one side and converted anyway. I was entranced by the idea that God loved me so much that He died for my sins (a mistaken notion I have since renounced). Let’s look at the passage in more detail as it is found in the earliest Gospel of Mark chapter 13. Verse 30 is the problem text. Read it yourself in context and ask yourself what it means. 9 ‘As for yourselves, beware; for they will hand you over to councils; and you will be beaten in synagogues; and you will stand before governors and kings because of me, as a testimony to them. 10And the good news must first be proclaimed to all nations. 11When they bring you to trial and hand you over, do not worry beforehand about what you are to say; but say whatever is given you at that time, for it is not you who speak, but the Holy Spirit. 12Brother will betray brother to death, and a father his child, and children will rise against parents and have them put to death;and you will be hated by all because of my name. But the one who endures to the end will be saved. Rev Keith Ward (Professor of Divinity at Oxford University) calls verse 30 ‘a mistake which is so central, so clear and so glaring that it is very hard indeed to deny that it is there.‘ (page 16, A Vision to Pursue SCM Press,1991). ‘Various Christians have wriggled and squirmed to evade this point; I have done it myself. But every wiggle and every squirm is strained, implausible and, in the end, deceitful. What the sentence says is plain enough. It is only because we know it is false that we look for some other interpretation, to save the appearance of truth. So it is suggested that ‘this generation’ means this age (between the birth of Jesus and the end of the world); so it could be as long as you like (as 1 Peter says, ‘A thousand years is as one day to God’). But if you can play with words like that, anything can be true. When Jesus says, ‘Surely I am coming soon‘ in Revelation 22:20, he means ‘Surely I am coming in quite a long time – at least 2000 years.‘ If you can believe that, you can believe anything; things can mean the opposite of what they say. I can personally confess to much wriggling and squirming on this issue, and it is a sort of comfort to realise that some of the best minds in Christendom have wriggled and squirmed too. ‘It looks very much as though Jesus thought the End was imminent within the lifetime of his own generation (Mark 9.1 pars. ; 13:30 pars. – where ‘this generation‘ can only refer to the contemporaries of Jesus). Page 349, Unity and Diversity in the New Testament: An Inquiry into the Character of Earliest Christianity by James D.G.Dunn, Third Edition, published by SCM Press 2006. Over the years, both as a Christian and even today as a Muslim, I like to search out New Testament commentaries by reputable scholars and look up the passage on Mark 13 to see what it says. If memory serves me right I estimate that over 90% of all the 30 plus commentaries I have read agree that there is a significant error in this passage. Not all scholars attribute the mistake to Jesus however. Some say the erroneous imminent eschatology has been attributed to Jesus by the early church and that Jesus himself taught either an entirely futurist eschatology (date unknown) or that the future age to come was completely realised in his ministry. As a Muslim I cannot countenance the possibility that a prophet of God could be in error about such a matter, so on a priori theological grounds the error must lie with the gospel writer and the early church rather than Jesus. It is only embarrasing for the legal mind. I wonder how many of those commentaries was written by Orthodox theologians? 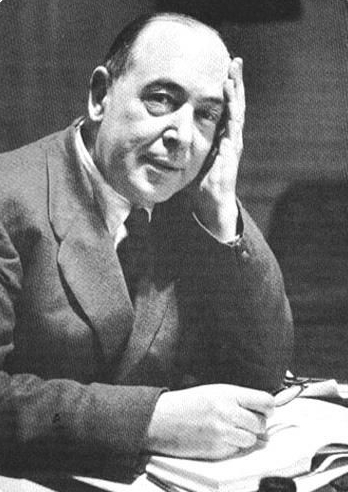 C.S Lewis for sure interacted with the orthodox and red orthodox theology but he is not famous for his holistic theology. And this is a matter of seeing the whole, not dividing (deamon) the Bible into small pieces. You only use him as a famous reference to draw attention and probably to awake a little bit of scandal in people that highly respect his works. Anyway, you got my attention:) The “solution” is found in true theology of Christ as the Logos, the Eternal Now and in salvation as a process. Can the One Who fulfills time and is the Source of time be subject to it. Yes, If He desires this but at the same time He is beyond it. Can it be that we, who are still subject to time maybe have a lack of comprehension concerning eternal things? The eternal Now, the logos, Christ is speaking into the fullness of time. He speaks concerning generations past, the generation when he walked on the earth and generations to come. It is not His words concerning this that is embarrasing it is the lack of faith of Who He Is that is embarrassing. frjakob, I kept waiting for you to give an explanation for why this verse is actually not embarassing to Christian theology because I’m honestly interested in the explanation. Though I hope you’re not going to say that some person or persons from that generation are still walking the earth, awaiting the return of Jesus (pbuh), as some Christian myths state. From your avatar, you seem to be Eastern Orthodox Christian; could you share the Orthodox answer to this seeming failed prophecy? Thank you, Fr. Jakob, for the kind and thorough reply. “Legal,” “legalistic,” etc. are words that seem commonly on the lips of Christian apologists whenever they encounter Jewish or Muslim thought. I think this can be an unfortunate view. The Hebrew scriptures (or Old Testament) contain what is often called God’s Covenant with the Hebrew people (later Jews), and the New Testament is held by many Christians to contain the New Covenant. A covenant being in essence a contract of the religious osrt, it seems that a certain amount of “legalism” might benefit anyone seeking to understand and evaluate these texts. It has always been my understanding that the words of the Bible often have both a literal and a symbolic or deeper meaning. Jesus (pbuh) used parables to sometimes disguise his message or at least its deeper meaning. At other times, he would disguise the message to sneak it past dangerous listeners. But it seems to me that in the “embarassing verse,” he is conveying a crucial and essential message important to help the listeners discern a very important time. We see from history that a great many were confused and misled by Jesus’s words. If you believe that Jesus was God (which we as Muslims do not), you must believe that Jesus knew that his words (or even simply their translation) would cause millennia of confusion and doubt which would threaten the eternal fate of untold millions of people and yet he offered no clarification. An omniscient Jesus who, according to what many Christians hold to be an infallible Bible, knowingly let millions be sentenced to Hell due to a lack of clarity in his own words seems even worse than embarassing to me. Much more likely to the non-Christian is the conclusion that when the deadline passed without incident, the clear words of Jesus (pbuh) were then assumed to have been mystical – thus imposing a deadline which can never be verified. I am happy to see our conversation has stirred you up to comment on this issue. Since you have been so kind to lay out part of the argument, I wonder if you wouldn’t mind going the extra mile and giving us the rest of it? You have stated that Jesus said “all these things” would happen in “this generation.” So would you please go on record listing all the things Jesus said would happen that in fact did not happen in the generation that then was? I wouldn’t want to miss anything when my articles are published on Answering Islam. Thanks kindly. a great tribulation, followed by the darkening of the sun and moon and the fall of the stars from heaven. ‘Then will appear the sign of the son of man in heaven, and then all the tribes of the earth will mourn, and they will see the son of man coming on the clouds of heaven with power and great glory; and he will send out his angels with a loud trumpet call, and they will gather his elect from the four winds, from one end of heaven to the other’ (vv. 29-31). Jesus says (according to Matthew) that all these things wil happen ‘in this generation’; that is, before the last person living at the time of Jesus dies. This statement is plainly false and it also wholly undermines any claim to biblical inerrancy. Quite simply, either Jesus was wrong, or the gospel writer was wrong. When will you be publishing your article in response to Paul Bilal Williams? Will it be any time soon? I have high expectations as you have confidently thrown down the gauntlet to our Muslim friends here. The way to be saved is very clear in the Bible as I see it. I don’t see any lack of clarity. On the contrary it’s all very clear to me. So why don’t Muslims accept it then? What is not clear about it? @Paul WIlliams, how come Jeus never tell the young man to follow the GREATEST comandment. To Love God with all your heart your mind your soul your body? How come Jesus never tells the young man not to make any graven images? How come Jesus never tells the young man to Not Take the Lords name in vain? How come Jesus never tells the young man to keep the Sabbath? THese are the first 4 comandments. Jesus never tells the young man to follow these comandments for eternal life. So according to Islamic logic, Jesus is NOT GOOD, and to inherit eternal life you do not have to worship GOD at all. So then that means according to Islamic logic that means atheist, animists, budists, hey even statinist can inherit eternal life if they don’t steal, murder, commit adultry, lie, and honor their mother and father. But thats not what Jesus said becasue after the young man says he has kept all these since his youth he asks what he still lacks. Jesus replys “Sell all that you have give to the poor and and you will have treasures in heaven then COME AND FOLLOW ME. So Jesus does not tell the young man to worhsip GOD but instead tells him to FOLLOW him after he has sold all he has and given to the poor. Jesus could say this becuse he is GOD. He does not tell him to Keep the Sabbath becaus Jesus is the Lord of the Sabbath. But you are a vessel made for common use not for honorbale use so you do not see that. That must account for the complete unity and lack of schisms in Christianity. It’s admirable that Jesus’s Gospel was so easy to understand that thousands of separate denominations and sects have had to form, argue with each other, and even murder each other over their disagreements. And yet each Christian denomination insists that its own interpretation is plain for all to see. Of course, I’m certain that madmanna’s denomination (or non-denomination) has the real truth and all those other Christian denominations are just selfish, blind, misled, etc. Paul, you will learn soon enough. You have been asleep at the wheel of your studies for many years; don’t be in such a hurry to be refuted. All in good time. BTW, since you are still trying to use the Lord Jesus to prop up Islam’s brand of works-righteousness, when can we expect your refutations of the dozens of articles Sam Shamoun has written in response to you? That should keep you plenty busy as I write my articles giving you a double portion of the embarrassment that (quite unnecessarily, as I will show) marked C. S. Lewis. what a pleasant chap you are Anthony – don’t forget that 1 Peter admonishes you to ‘make your defence with gentleness and respect‘…..
I’m surprised that you are not able to deal with my dilemma: ‘Quite simply, either Jesus was wrong, or the gospel writer was wrong.’ Which is it to be Anthony? As regards Sam Shamoun’s excessively long rebuttals I confess that though I have read them they do not merit any reply from me as they are mostly off the subject, verbose, abusive, and badly argued. So I just do not see him as offering a serious critique of my arguments. I still await a scholarly critique of my views. Sadly Sam Shamoun’s diatribes are simply not up to scratch. Paul, Rogers is not going to be “gentle” until you be one of him. indeed. I appear to have rattled his cage somewhat! a rather unconvincing spin madmanna. Jesus’ first answer in Mark 10 was to obey the commandments (no justification by faith alone there). His second answer was to give the money to the poor, and then the man would have treasure in heaven. Note carefully the sequence (no justification by faith alone there). This was before he followed Jesus. Justification by faith alone is not the same as following Jesus. Muslims follow Jesus’ teaching and example but we do not worship him – we worship God. And so it is clearly displayed, the legalism of the world. Lets present two false alternatives simple and quickly so no light will get shed on the real “issue” here. You have to pick one or the other Anthony, which one is it? Quickly now. In this case it is neither. The real issue behind the “smoke screen” of two false alternatives is that of recognizing Christ as God or not. And I do believe that Christianity presented the “better case” (to use the legal language) when the question was up for discussion for real in the 4th – 6th century (Against Arianism and the other heresies that denied or diminshed Christs divinity). Heresy always tries to simplify complex theology for the reason of spreading it fast. But finding truth requires both faith and work. It is a life long journey and no quick fixes or solutions are offered for the one that seeks Truth. Have anybody considered that the “problem” may just not be Christ, but us. Is it the humble road to think we can understand all Gods ways? It was us wanting to become like God in a quick manner, that got us into trouble in the first place. Did not both so called christians and muslims alike scream “God wills it” or “In the name of Allah” claiming they knew Gods will, when they went on to slaughter Gods people and creation? I say this not for this particular case where Gods ways are revealed for the one who believes but there are other passages in the Scriptures that are much harder to understand than this one. And this is why certain passages in Scriptures are hard to understand, so that we would take the proper amount of time struggling with them, hopefully finding God in the struggle, in the paradox. Maybe God put some “uncertenty” in some passages in the Scriptures so that we not would turn to pride “claiming to know the truth” to quickly? Maybe God wants to struggle a bit, like we do in personal relations, before we are given the meaning of His Word? But this of course only make sense for the one who dares to believe that Christ is God. It only make sense for the one who dares to believe that the God of all became a servant to show us the road of humility and true love. I ask your pardon for my poor english, my mother tounge is Swedish. I am not motivated by pride or an unreasonable desire to be able to understand my Creator. (In fact, Islam is probably the most humble faith in admitting the human inability to truly comprehend our Creator, while he can comprehend us, his creation, completely without needing to take on human form to do it.) I simply believe that, due to a desire to compassionately save as many souls as possible, God would present us with his expectations as clearly as possible. You say that it is the work of a lifetime to understand Christian theology. Whose lifetime? Someone from centuries ago, when the average life expectancy was in the 30’s, and people spent all their waking hours scrabbling for shelter and food to eat? The lifetime of a young person hit by a car at the age of 19? Or the life expectancy of a 21st century student of theology born into the affluent west during a time period with the finest medical care ever known in history? All Christ had to say was, “I am the God of Abraham, Isaac, and Jacob, come in the flesh to serve as a sacrifice for the sins of all who believe in me. He had 33 years in which to say this sentence which would have spared millions or billions of souls the sufferings of Hell. If God did not *clearly and unambiguously* tell us the ground rules, then it cannot be said that he endowed us with freedom to choose life or to choose the way of death. So this is the “crux” of faith. Christians does believe that Christ, through His life (and lineage as well) did say that this is what He Is. He did say “I AM the Truth and the Life”. One can only misinterpret that if one has no faith in that statement. And He did and still do spare people from suffering by healing them. He has conquered hell for the ones who believe (and everybody will eventually believe “every knee shall bow…”). He did all those things of divinity. He even conqured death. Are we to blame Christ for not believeing? Is it His “fault” that we do not believe? God is Love and Love as I see it, requires freedom. So Is God to enforce His will and Law not considering our freedom? He could if He wanted. But that leaves us as lifeless “shells” without any resemblence of God and He did create us in His image. We are free to choose, we experiance that every day. We have been told the ground rules (do not murder etc). Shall we scorn God for creating us in His likeness with freedom? Should we blame Him when we choose the wrong path? I know that the presence of suffering and evil in this world is a stumbeling block. If God has come into the world the world should be healed from then on right? This is (I think) one of the core questions that Islam raises against Christianity. The Christian answer is that all life must be baptized in water (birth) but also fire (burning of the sin so to speak and this is the origin of pain) because of the fall. The very reason of suffering and pain is so that we would ask why its here? It is unatural for us. It hurts so it gets our attention. God shared our pain so that we can not “blame Him for not knowing what its like”. Off course God already knows the depth of the human soul, He created it. But He is incarate for our sakes. So that we can understand through faith in Him. As for your spiel of lifetime I only view them as another attempt to draw attention from core issues. Another example of focusing on the few words and trying to pull apart the core meaning. The life time required to know Truth is the life given. Only God in His Wisdom knows the destiny of the unborn or the non believers. I dare not speak judgment on either one. But i am convinced that grace is forthcoming from the Lord for everyone when the time is right for each and every one of us.If we do not “learn the Truth in this life” I am convinced Grace will extend the time until we do. I asked for CLEAR and UNAMBIGUOUS statements in which Jesus (pbuh) claims to be God. The statement you provide is clear only by inference, if that. In fact, every single one of his contemporaries did indeed “misinterpret” that. I’m not asking out of arrogance, or legalism, or some sort of infantile desire to reduce God to something simple. I’m asking because if Jesus was God, and he already knew that he was doomed to crucifixion, he *knew* that he had nothing to lose by stating this fact in a manner so clearly that even the local Hebrew school drop-outs would be able to understand him. Instead, the official Christian story is that Jesus *hinted* and *implied* and *played word games* with the eternal fate of billions of souls. His own divinity: One of the cardinal principles of historical Jesus research is that the belief in Jesus’s divinity is a post-resurrection phenomenon. During his life, his acts of power were understood as signs that God (or Satan) was working through him – not that he was God. Catherine M. Murphy, The Historical Jesus For Dummies, 2007, John Wiley & Sons, Indianapolis: Indiana, p. 178. Nevertheless the nature of the Gospel tradition means that we cannot simply take everything recorded in all the Gospels as unquestionably genuine reports about what Jesus said or did in a pre-Easter situation. Is that an admission on your part that you are guilty of slandering and reveling me? That after all is what Peter was talking about in context. You did of course get a little uppety and use some unnecessary rhetoric in our most recent conversation on another thread, but for all that I didn’t assume I was being too forceful in my reply. Perhaps you should lead off with a different foot next time. You gave out the false impression that you could handle some good sparring. In my case, I serve a big God and don’t take myself to seriously. I haven’t found too many Muslims who have a high enough view of God to not take themselves so seriously. I assumed because you are a Westerner that perhaps Islam has not fully had its way with you yet and that some appreciation for wit, humor, sarcasm and satire still remained. You gave out the impression that that was the case. I will make it a point in the future when interacting with you to act as though I am walking on rice paper and will try not to leave any footprints behind. This of course amounts to no refutation at all. I don’t find either your or Shabir’s case that Jesus is a false prophet at all well-informed or well-argued, but I am still happy to give it a proper burial. I don’t expect any reply from you. I am only to sure what I will say will be utterly devastating, especially since it will mean (among other things) a loss for you of a problem that you consider to be “huge.” I fully expect you to make an excuse for why you will not reply. But as in the case of your silence in the face of Sam’s rebuttals, it will be like the proverbial dog that did not bark. Anthony, clearly my article has upset you a great deal. I am sorry for that. I hope we can have a more scholarly exchange of views in the future based on the issues. Hi Rogers, good to see you after a hiatus! I wonder how a informed Christian like you claim so! Ironically this “big God” was murdered with only a patch of cloth on his body by those who worship the “big God’s” opponents – Idols. Rogers, sorry to say, but you were just too biased to write that. Muslims ONLY worship one God without any preconceived images in mind as contrary to Trinitarians a dove looking God and ANOTHER God in all sorts of physical needs, gasping for breath and food etc etc. and yet Christians hold higher view of God!? The position that ‘ this generation’ refers to this age (from Jesus to end of world) is flawed, if read in context the verse never says that . The ‘abomination’ mentioned here is agreed by all commentaries on the Bible to be the Roman army encompassing Jerusalem, which was an abomination to the Jews, and an “impure sign” of their destruction, as the Syriac and Persic versions render it; and a desolating one to their nation, city, and temple. Then in verse 24 Jesus says “But in those days, FOLLOWING THAT DISTRESS, the sun will be darkened, and the moon will not give its light; the stars will fall from the sky, and the heavenly bodies will be shaken. Jesus clearly says the end will come following ‘ that distress ‘ which is the sacrilege of Jerusalem by roman army. So Jesus clearly predicted that the end will be seen by disciples after the sacking of Jerusalem by Romans and it is an error. Here Jesus says to the disciples not to worry on what to say if they get arrested because holy spirit will speak for them. -Andrew died on a cross at Patrae, in Achaia, a Grecian Colony. -James(the elder son of Zebedee, brother of John) was beheaded at Jerusalem. -James (one of Jesus’ brothers, also called James the Less) was thrown from a pinnacle of the Temple, and then beaten to death with a club. -Thaddeus was shot to death with arrows. -Matthew was crucified in Alexandria. -Nathanael was flayed alive and beheaded in Albanapolis, Armenia. -Peter was crucified, head downward, on a cross in Persia during the persecution of Nero. -Philip was hanged against a pillar at Heropolis (Abyssinia). -Thomas was run through the body with a lance at Coromandel, in the east Indies. This is what happened when the holy spirit spoke for them !!! In this verse Jesus clearly says he does not know the hour or the end . Did you see the error ? In the whole chapter Jesus tells about the signs of the end of the world then suddenly he says he dosent know when it will come!!! Problem here is Jesus says he will come ‘ AT THAT TIME ‘ on clouds with glory and power but surprisingly he dosent know that time, in short he dosent know the time when he is coming !!!! In verse 18 Jesus says” Pray that this will not take place in winter”. Here Jesus dosent know what season the sacrilege of Jerusalem will take place !! moreover he asks disciples to pray that it should not happen in winter !. It is surprising that Jesus the son God dosent know a small thing which is going to happen a few years after his death !!! and moreover asking disciples to pray to prevent it from happening in winter !!!!!! As an aside, it is worth remembering that even in John’s Gospel which has Jesus making the striking ‘I am’ statements…. Few scholars would regard John as a source for information regarding Jesus’ life and ministry in any degree comparable to the Synoptics. It is worth noting briefly the factors which have been considered of enduring significance on this point. One is the very different picture of Jesus’ ministry, both in the order and the significance of events, and the location of Jesus’ ministry. Another is the striking difference in Jesus’ style of speaking (much more discursive and theological, in contrast to the aphoristic and parabolic style of the Synoptics). As Strauss had already pointed out, this style is consistent, whether Jesus speaks to Nicodemus, or to the woman at the well, or to his disciples, and very similar to the style of the Baptist, as indeed of 1 John. The inference is inescapable that the style is that of the Evangelist rather than that of Jesus. Probably most important of all, in the Synoptics Jesus’ principal theme is the Kingdom of God and he rarely speaks of himself, whereas in John the Kingdom hardly features and the discourses are largely vehicles for expressing Jesus’ self-consciousness and self-proclamation. Had the striking ‘I am’ self-assertions of John been remembered as spoken by Jesus, how could any Evangelist have ignored them so completely as the Synoptics do? On the whole, then, the position is unchanged: John’s Gospel cannot be regarded as a source for the life and teaching of Jesus of the same order as the Synoptics. Other conservative Christian scholars who have similar types of verdicts to offer regarding the historicity of the gospel of John include: Bruce Stein, Craig A Evans and Martin Hengel, to name a few. I would draw the logical conclusion from your last comment that you are actually admitting that the “I AM” statements of Jesus in the gospel of John do prove his divinity beyond any reasonable doubt. It can only be for this reason that you and your fellow apologists are trying to cast doubt on them. madmanna, using your own logic, we should go to the gospels which the early Christian church sought to suppress to find out the truth about Jesus. We must draw the logical conclusion from the church’s murderous suppression of these early texts and their adherents that those texts prove his lack of divinity beyond any reasonable doubt. It can only be for this reason that mainstream Christian apologists are trying to cast doubt on them. Mainstream New Testament scholarship is overwhelmingly agreed that Jesus probably did not say the ‘I am’ statements for the reasons Dunn adumbrates. This is not primarily a Muslim argument. It just so happens that the Quran’s Christology and that of most Western (non-Muslim) scholars converges at this point. Of course John’s gospel presents Jesus as divine. I have never denied that. I do not agree with those Muslim apologists who try, unsuccessfully in my view, to explain those verses away. Paul i disagree with you on this ,though Gospel of John represents a very high Christology it never potrays Jesus as God . Many Christian scholars too echo that John’s Gospel does not show a devine Jesus. Every verse which Christians bring to show Jesus claiming divinity in John ,if read in context shows the opposite. Had John protrayed Jesus as God he would have not made Jesus said this satement where Jesus addresses the father as ONLY TRUE GOD .How is it possible that Jesus being God addressing the father as only true God ? please tell me which one’s. ‘In the beginning was the Word, and the Word was with God, and the Word was God‘. Paul the verse which you are quoting John1:1 does not ascribe any divinity to Jesus.The word ‘logos’ is used in Greek to denote plan,wisdom,reason .The author of John is trying to say that in the beginning was Gods plan he is not referring to Jesus , other wise he would have said in the beginning was Jesus. The word ‘theos’ apart from God in the Bible is also used for highly reverend persons . The author is saying the plan of God which was ‘theos’ meaning divine became flesh. Verse 29 says “The next day John saw Jesus coming toward him and said, Look, the Lamb of God” .John did not say ‘look God’ he would have said so had he thought Jesus to be God. Coming on to scholars who do not ascribe divinity ,Sir Anthony Buzzard and William Barclay. yes it does, clearly: ‘In the beginning was the Word, and the Word was with God, and the Word was God‘. so it is clearly referring to Jesus. I would say that there is a virtual unanimity amongst scholars that John 1 should be translated as ‘the Word was God‘. Though I agree with Dr Buzzards theology he still has a fundamentalist approach to the Bible, so he reinterprets those few places in the NT where Jesus is called God or is portrayed as divine in a unitarian fashion, but he distorts the Bible in the process. If we ask any christian why Jesus did not said he is God , the only answer they will give is that because he did not wanted people to be confused thinking he is God the father .The same reason has been given here by ‘madmanna’. The same Christians will then argue that Jesus did claim divinity ! citing various verses from the Bible with high Christology like the ‘IAM’ statement in John . We should ask these Christians if Jesus says he is God will be confusing the people why then do you say he claimed divinity ? .Is it not confusing now ? Jesus would have said “Hear o Israel iam God ,my father is God and holy spirit is alo God. We are not 3 but 1 God ” . It would have taken hardly a minute to say this . Jesus lived for 33 yr that is 17344800 minutes but did not said such an important thing which could have been completed in just 1 minute . So either Jesus is not God or he is God with very little intellect on what things to say first . Br. Paul, I have found this post and discussion very interesting. I also enjoy the way you and br. Asmath deal with comments.Intelligent and respectful. Inshaallah, this will all be very valuable in dawah works. It’s great to see some interesting arguments being exchanged here. One thing that has struck my mind from this post is the “one day being equal to one thousand years” being in Bible. 2 Peter 3.8 says “But, Beloved, be not ignorant of this one thing, that day is with the Lord as a thousand years, and a thousand years as one day” KJV Cambridge ed. I have found similar statements in Quran at 22.47 “ And they urge you to hasten punishment, But Allah will never fail in His promise. And indeed, a day with your Lord is like a thousand years of those which you count”. And also in Quran at 32:5 “ He arranges [each] matter from the heaven to the earth; then it will ascend to Him in a day, the extent of which is a thousand years of those which you count”. so according to these hadith, the day of Resurrection will be like 1000 (human) years, since half a day is 500 years (of the resurrection day). Br Paul and Ashmath, amazing work by you guys. Nothing like a Muslim talking about hazards. I feel you. Any review of our exchange will show that the shoe is clearly on the other foot. The only person who registered complained at their feelings being hurt was you, Paul. I can handle anything you throw at me. That’s why I didn’t complain. If you recall, I stopped corresponding with you by e-mail after you lied to me. If you would have repented, I would have continued our informal exchange through that medium. As for our polemical exchanges, the three I have written to you give the lie to any alleged “silence” on my part. Some day, Lord willing, I will write a fourth. As it is, I consider you a fallen foe. I am more than content for the time being to let the comparative merits of the cases offered by both of us speak for themselves. Also, after checking the stats on AI, it didn’t seem a good use of my time to reply to you any further than I already did. As I told you then, while my articles have been read by thousands upon thousands of people, a piddling few seemed to be reading yours. I gather this because the stats also tell how many people come to the site through the links provided in your articles. In other words, as much as Paul pretends AI is a site of no consequence, it continues to be the largest, most well respected and constantly frequented resource against Islam, and while there may be some Muslim sites that get a high volume of traffic, it is almost certainly not because of your (Qmark) contributions. Anthony, you are a guest on this blog, but any more rudeness from you and I will trash your comments. This space is a forum for serious discussion and debate not a child’s playground for settling old grudges. Posting is a privilege not a right. This is your last and final warning. I don’t know how and what you are claiming here, it is baseless. Which “lie” dude? “As it is, I consider you a fallen foe.” – is that your “Christian” apologetics all about? Is that the net intent? Rogers…Rogers…you seriously made me smile after reading the above 🙂 It seemed like you were up to for some college debate – counting the number college mate endorsing you. For me (and for any other Muslim (apologist)), readership of articles has never been an issue and let me inform you, it will never be. My intent, unlike yours, is not the count of readers but Allah’s (SWT) favor when I stand on the last day. Allah (SWT) is not going to ask me whether I had “thousands upon thousands” readers or not OR why did I had “piddling few” readers – but what He would ask for surity is whether I was a strict monotheist or not and whether I committed shirk or not. I don’t know how and what you are claiming here, it is baseless. Which lie dude? Wow! how juvenile. Number does not tell us anything about the truth, Satan has many followers, pretense itself as guiding star while in fact is full of lies and deception. John 4 v 23 : But the hour cometh, and now is, when the true worshippers shall worship the Father in spirit and in truth: for the Father seeketh such to worship him. Salaam madmanna. I am guessing that you could come up with an excellent one-sentence summation of Trinitarian Christian dogma that Jesus (pbuh) could have made during his ~33 years of life on earth that would have saved (according to Christian theology) literally billions of people. If you can do it, why did he not choose to do so – even though he (again, according to Christian theology) had the benefit of being able to see the effect that simple summation would have had? As the commenter above, who using the handle “Jesus,” stated, the Prophet Jesus (pbuh) could have simply said, “Hear o Israel iam God ,my father is God and holy spirit is also God. We are not 3 but 1 God.” What possible reason would Jesus (pbuh) have had for not making such a simple statement and saving humanity countless strife and intense human suffering as well as the suffering of those in Hell due to the confusion of Christian doctrines? The simple and obvious reason, to me anyway, is that the disciples did not yet understand sufficiently the concept of the Father, the Son or the Holy Spirit in order to be able to worship the triune God in spirit and in truth. Just parroting credal statements about God would not have changed that either. Jesus said that the Holy Spirit would lead the disciples in to all truth. This did not happen until after Pentecost at the earliest. The deepening of faith and understanding was ordained by God to be a gradual process. Brute force is not the way that the trinitarian God works in contrast to the Islamic God. christianity is funny and a lie.it is not what jesus was sent to teach. christian evangelists are proud that all prophesies said by jesus came true, yet the prophesy about end of the world in his generation did not occur.it proved that it is a lie attributed to jesus in the nt, which he never said.